You’ll likely hear some familiar voices on Casting Crowns’ next album. 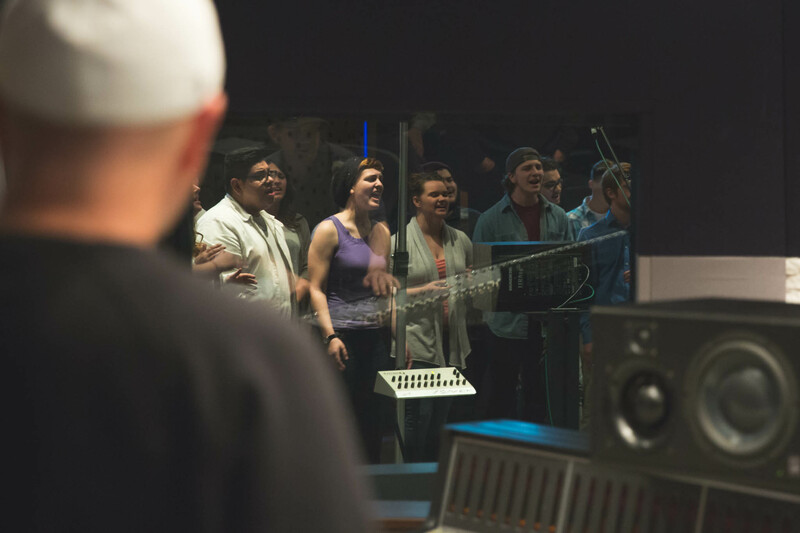 More than 20 Trevecca students recently went into the studio with Casting Crowns’ Mark Hall to record background vocals for the soon-to-be released album. According to the students, all members of the National Praise and Worship Institute (NPWI) choir, it was an experience they won’t soon forget. NPWI student Nikki Taylor enjoyed getting to meet music industry veteran Mark Hall. Mark Hosny, director of NPWI, credits adjunct instructor Diane Sheets with making the experience possible. Sheets, a vocal coach to Mark Hall, Natalie Grant and Tenth Avenue North, among others, taught voice lessons and NPWI’s Essentials Voice class last fall. That was last semester. Then, earlier this semester, Sheets unexpectedly texted Hosny. I’m in the studio with Casting Crowns, the text read. They are recording their new record. Last night we were discussing our need for a larger gang vocal group, and I suggested hiring the choir at Trevecca. On April 7, Hosny and 24 NPWI students joined Mark Hall at Sound Stage Studios in Nashville for the recording. The group sang on three songs, doing four takes of each song with different combinations of voice parts. Hosny said Hall sat in with students and made them feel at home. Kennedy Bryan, one of the students who sang on the album, was excited to be a part of the recording. “No matter what happens, we’re going to be on that album forever,” she said. 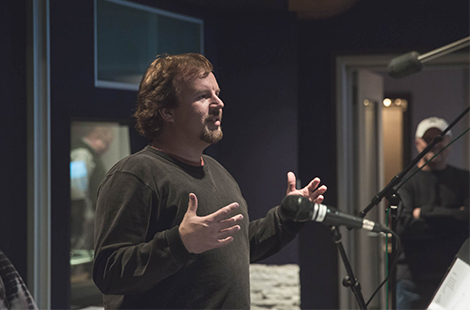 The Casting Crowns recording session likely won’t be the choir’s last. Recently, six NPWI students recorded choir vocals for Leslie McKee’s latest album. McKee’s daughter, Sarah, is a NPWI student, and McKee first heard the choir at NPWI Parents’ Weekend. For Hosny, these are just a few reasons Trevecca can be proud of our students.